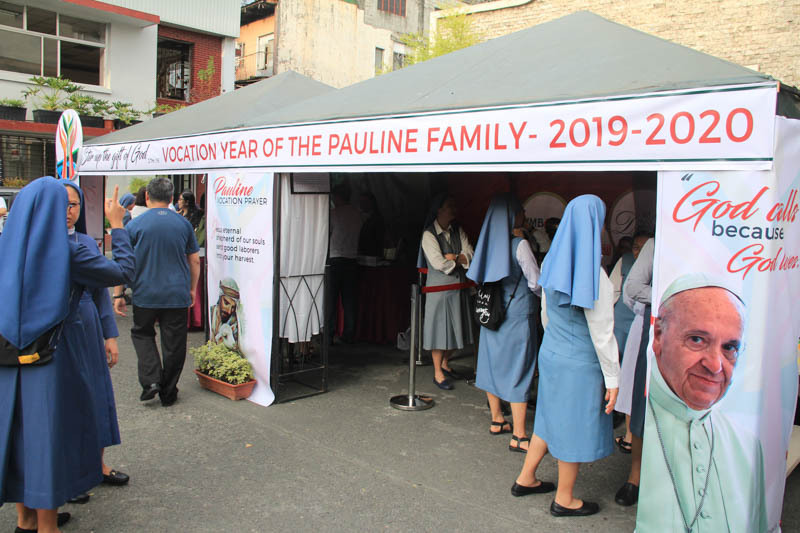 On January 27 (Sunday) at Our Lady of Sorrows Parish in Pasay City, the Pauline Family in the Philippines opened the Vocation Year (2019-2020) with the celebration of the Holy Eucharist. 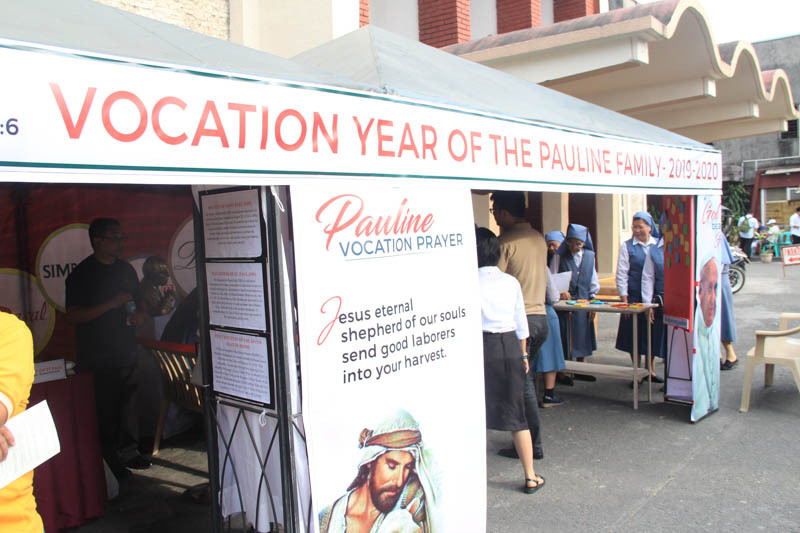 The Pauline celebration draws inspiration from the last Ordinary General Assembly of the Synod of Bishops focused on “Young People, the Faith, and Vocation Discernment” and also coincides with the “Year of the Youth” event of the local Church in the Philippines. 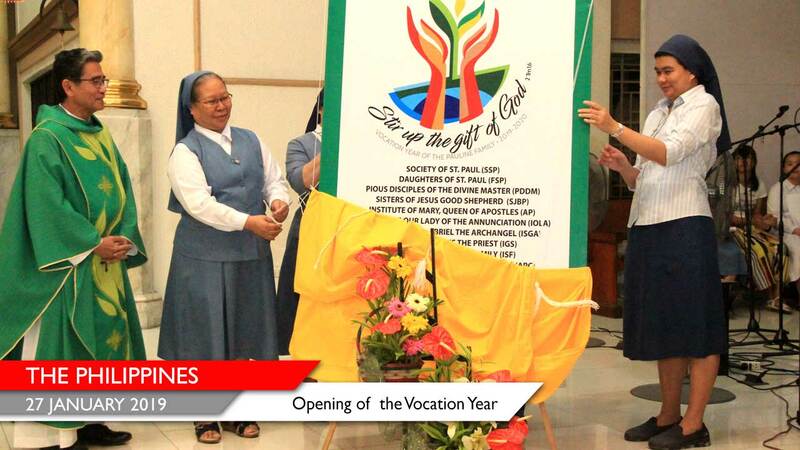 The opening mass, well-attended by members of Pauline Congregations, Aggregated Institutes and Cooperators, together with the parishioners, saw the unveiling and explanation of the official logo and the recitation of the prayer for Pauline vocations. 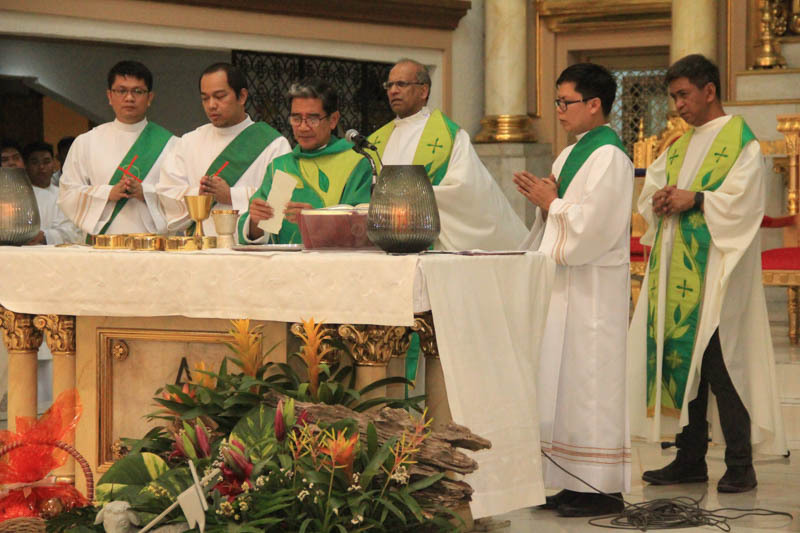 Presiding the Eucharist was the Provincial Superior Fr. 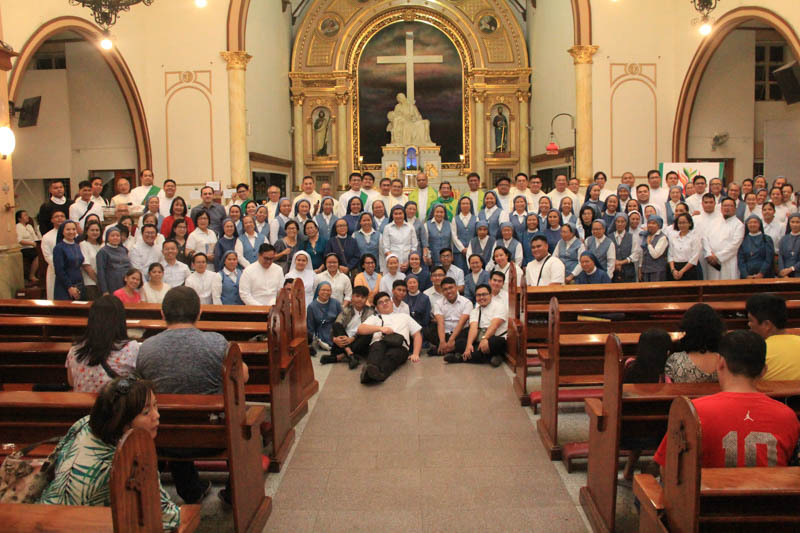 Jose Aripio, while newly ordained priest Fr. 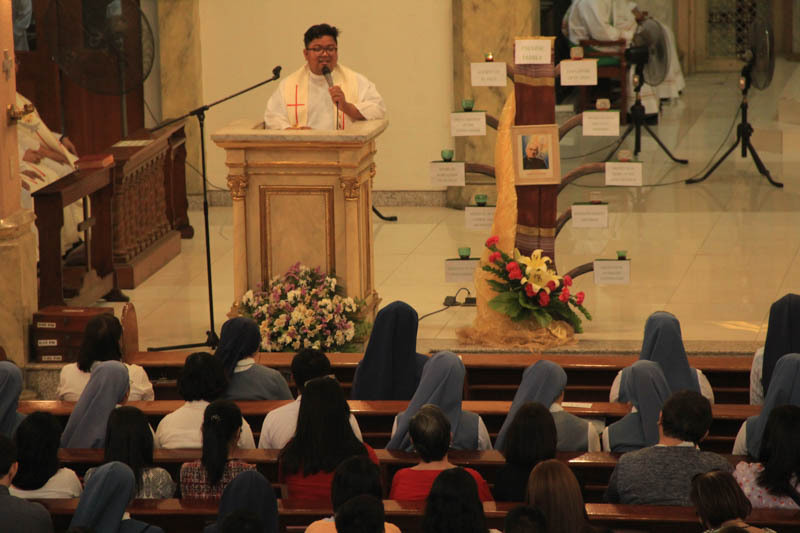 Eric Mark Salamat delivered the homily, introducing the Pauline Family’s rich diversity and unity to the assembly. 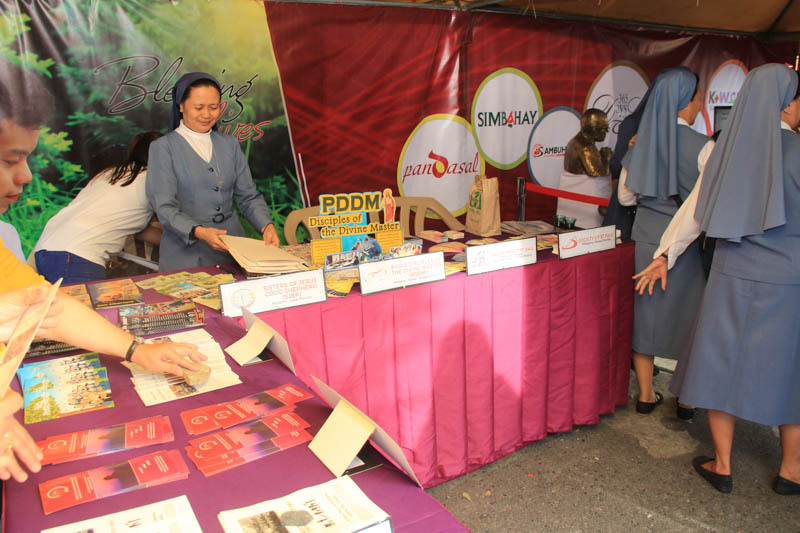 During the whole day, a vocation booth was put up in front of the parish church where interested individuals could get vocation materials (brochures, bookmarks, flyers, etc. ), watch promotional videos, or simply inquire or chat with a priest, brother, sister, or lay consecrated member of the Pauline Family. 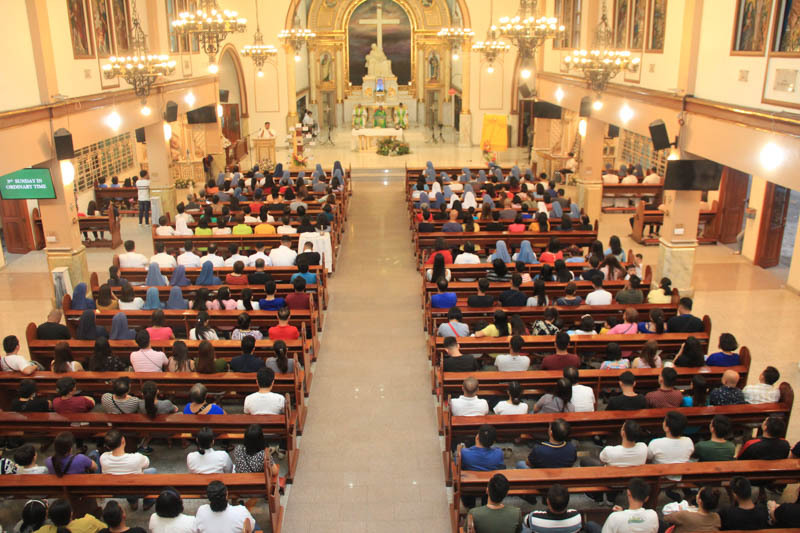 Before the end of each mass that Sunday, a Pauline member gave a short presentation of his/her Congregation or Institute, encouraging people to consider the Pauline religious calling. 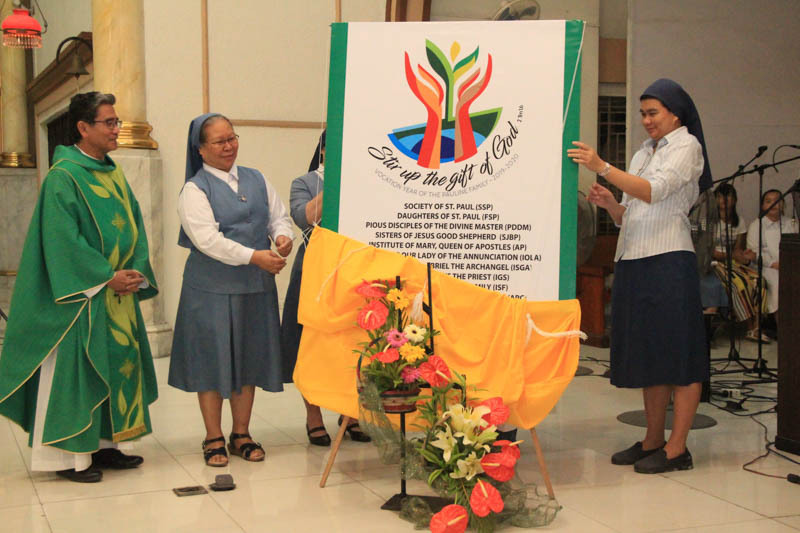 The vocation promoters of the Pauline Family who spearheaded the preparation of the opening event expressed gratefulness for its successful outcome. 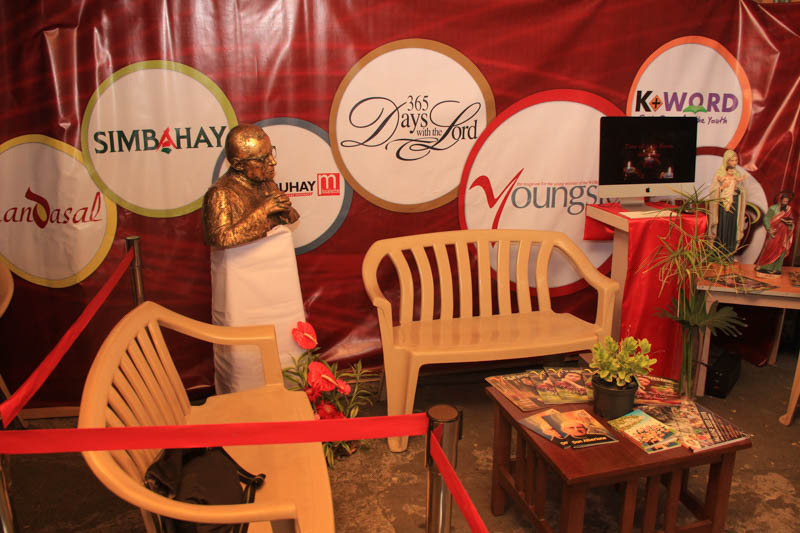 Inspired by the familial vibe of being sons and daughters of Blessed James Alberione, they commit themselves to collaborate again to plan and set up more events and encounters with the youth during this year-long festivity.